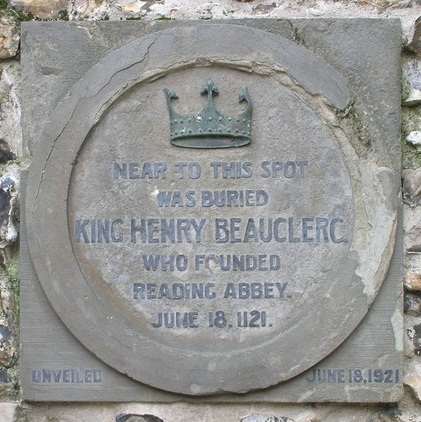 Bernie believes that this plaque is still in the Abbey Ruins. 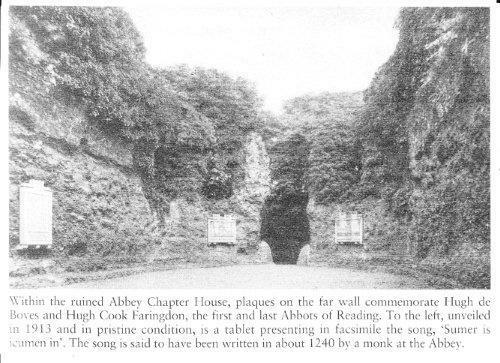 Also the ‘SUMMER IS ACUMIN IN’ plaque but he can’t check this as the ruins have been closed ready for restoration. Shelagh Anderson, Anita Page, Nora Delany and Pat Cleere (Michael Cleere’s sister) were a sort of gang. The Lake brothers used to live in a cottage directly opposite the Reading Jail in Forbury Road. Their father was an invalid who rode around in a motorised covered wheelchair. When the cottage was demolished in 1949, they were relocated to Spencer Road in Whitley Wood. Dez’s family also relocated to Spencer Road at the same time and therefore he became friends with the Lake brothers, especially Tony and later Malcolm. When Dez returned to school after his year off, he used to cycle to and from school with Malcolm until Dez’s family moved to Caversham in 1957. Dez says they had some great times together in the 1950’s including he and Tony Lake organising a Dads vs Lads cricket match for the Coronation Day in 1953. For this, they had to mow a pitch from a waste piece of grassed land in Spencer Road called “The Mudflats”. He also remembers good times with Malcolm Lake including cycling from Reading to Hayling Island and back. My first two years at primary school were at Coley Primary School but I have absolutely no recollection of those years. My mother, who was not a Roman Catholic, baptised me as an Anglican while my step father was away during the war. But he was an RC and insisted I be baptised in the Catholic Church. I was seven years old when I was baptised at St James – I actually remember that day and also remember that it was the only time I ever saw my step father in church! Sadly – I don’t have too many memories of those years at St James. But I remember Aubrey Cheshire because he seeemed to need to assert himself. Now yours truly was just the opposite – I couldn’t punch my way out of a paper bag – except when I am pushed to the limit. Young Aubrey taunted me one day and did just that – pushed me to the limit and I just turned round and without any warning hit him straight between the eyes. Gave him a magnificent shiner. The problem was that the headmaster witnessed it and we both got the cane. It was the only time I ever got the cane. I seem to recall I was a hero for about two days until people woke up to who I really was!